Saphiro (JC Andalusians), out of Tirania R.
Bella has excellent, balanced conformation, exceptional movement, and a sensitive, engaging mind. She is a very forward moving, athletic mare with a strong competitive spirit. We took her to the Regional Show in 2006 and she did very well with top three finishes in Best Movement and the Two Year Old Filly classes. In 2008 we started Bella under saddle and she proved to be an excellent student. She is attentive and sensitive in the bridle with the right amount of spark to compete and win. In 2009 we had the privilege of riding Bella in a clinic with the honorable Jose Manuel Correria Lopes. She did exceptionally well, impressing both clinician and audience with her stunning movement and willing attitude. 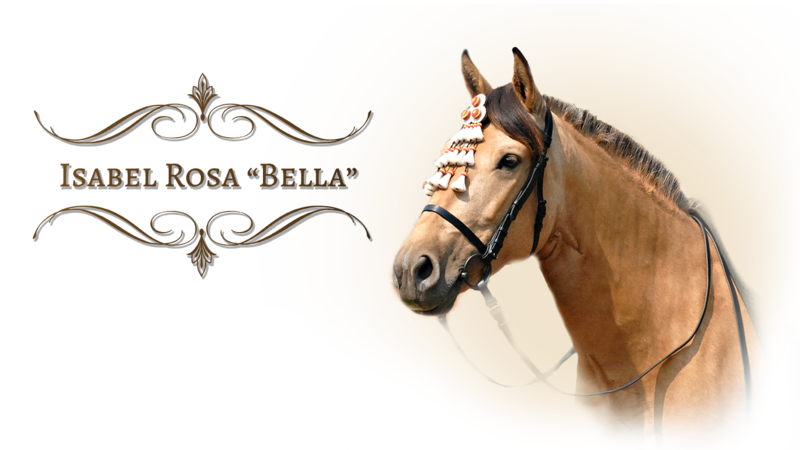 In 2010/2011 we bred Bella to the PSL stallion, Lusiadas (Baroque Farms USA). She delivered our gorgeous filly, Estella. 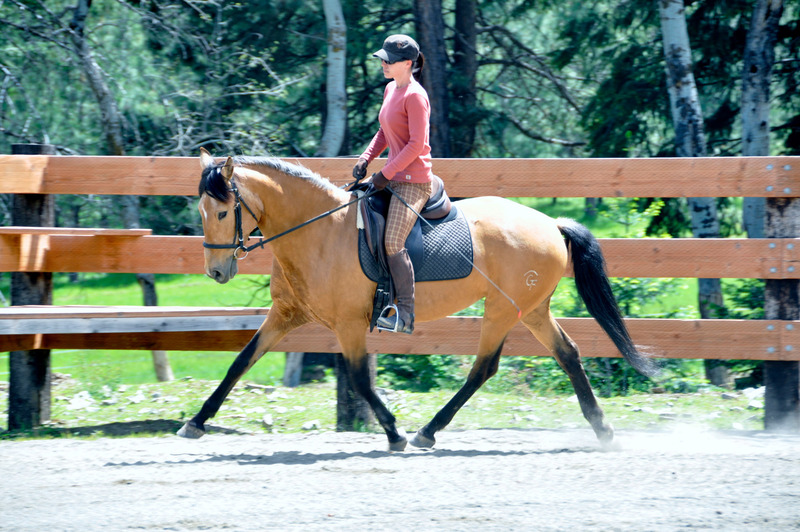 In the spring of 2012 we brought Bella back into full time training under saddle. Her exceptional movement, strong mind, and excellent work ethic make her a great student and partner. She is a steady no drama mare that trailers, clips, and handles very well. Clinicians have commented on her seemingly natural ability for the flying changes, piaffe, and passage. It will be exciting to see her develop. We consider her to be a left brained introvert. In 2013/2014 we took Bella to several clinics with Rodrigo Acosta Matos and Miguel Ralao Duarte. She did exceptionally well with both the travel and the lessons. Both clinicians were very impressed with her work ethic, athleticism and progression toward true balanced collection.